by Grown-up Travel Guide Contributor in Europe, Features, Home, Places, Spain. Here’s the third article in our new (or rather re-booted) series after the first article on an Englishman in New York for the first time and the follow-up about a Canadian in San Francisco. A number of different authors tell us how it went the first time they visited a city or town. Did it live up to their expectations? Were there any big surprises, shocks or strange differences they weren’t expecting? Was there any truth to the stereotypes they had heard about? I am rather embarrassed to admit it now but I had a stereotypical and very negative view of the Costa Brava and had no intention of going there. I thought it was just beaches lined with imposing hotels and apartment blocks that cater for the mass tourist market. I thought the food and activities would be geared towards the British and it would be hard to have an authentic experience and immerse myself in the culture. In September 2012 I went to the Costa Brava for a conference, which is when I found out how wrong I was. Yes, there are lots of beaches and some do have rather large hotels which cater for the tourist trade but there is so much more. I visited four beaches in the Costa Brava and they were all very different. 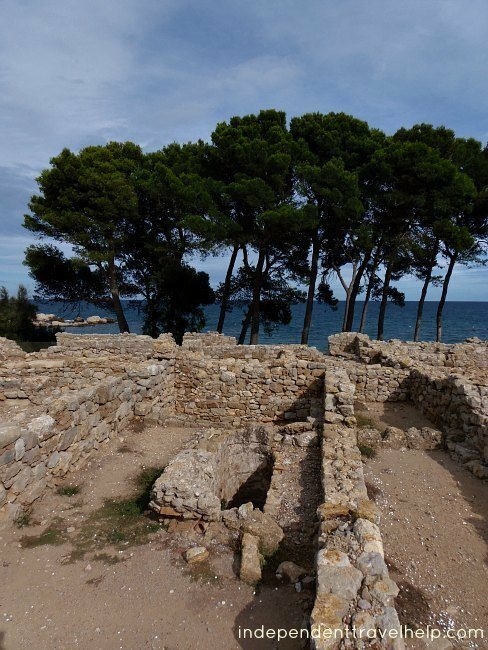 There are ruins within walking distance of a couple of beaches; the huge archaeological site of Greek and Roman ruins by Sant Marti d’Empuries is worth visiting and so are the ruins of a Roman Villa and a walled medieval town in Tossa de Mar. It became obvious very quickly that gastronomy is an important part of the Costa Brava. Being vegetarian made it difficult to enjoy all the culinary delights on offer because eat a lot of meat and fish. Nonetheless, I did have some flavoursome vegetarian dishes that were made from locally produced food. The olive oil and red wine stood out for me. Oh, and the bread with tomato (Pa Amb Tomaquet ) for breakfast – it seemed a little strange at first to rub half a tomato on bread and add olive oil but, oh, it’s so tasty! I’m not a city person but there is something very special about Girona; it’s a beautiful city, particularly the medieval part, with interesting architecture and it is steeped in history. It is a great place to while away a few hours with a good book and a drink but there are so many more things to do in Girona. I love to learn about different cultures and this was one thing I wasn’t sure I would be able to experience in the Costa Brava. Thankfully, I was wrong. It was wonderful to see how important retaining their culture is to them. 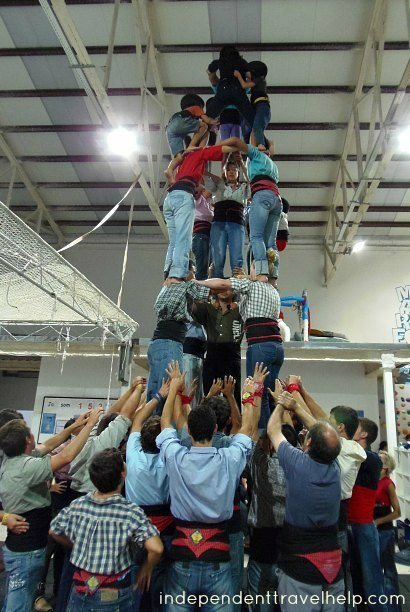 From the language (Catalan) to their traditions such as the human tower (Castell). For the first time in my life I, not only saw the human tower, I got to take part in it. That was one of my favourite experiences because it gave me a real insight into how important their traditions are to them and how they support each other and work together. 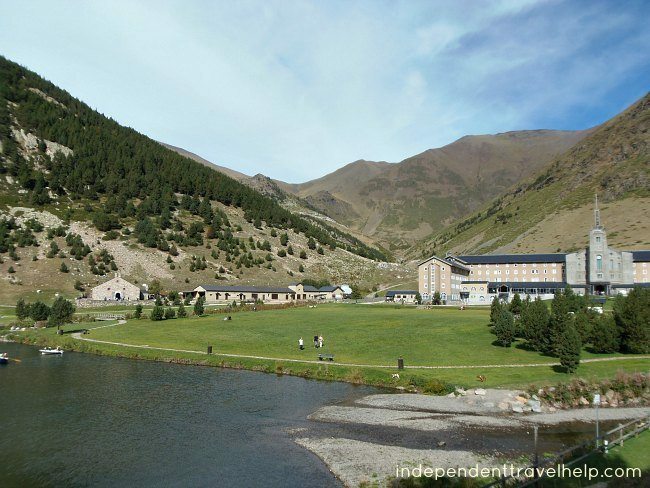 I managed to escape the beaches for a while and ventured inland and further north to Vall de Nuria in the Pyrenees. The scenery is stunning and there are many different activities to try whatever time of year you visit – there are an abundance of agroturismes and farms in the Costa Brava that you can visit and a multitude of cycling and hiking routes. I can’t finish without mentioning a couple of prominent artists and architects from the area: Salvador Dali and Raphael Maso. You can appreciate Dali’s creations in the Dali Theatre-Museum in Figueres and Maso’s work just by walking around Girona. What do I think of the Costa Brava now? When you have a negative view of something, it can be really difficult to change your mind. Visiting the Costa Brava completely changed my view of it. In fact, I want to return to the Costa Brava because there is so much more to explore; I found out that it is possible to have an authentic experience, immerse yourself in the culture, learn about the history and enjoy the wonderful vistas. There is something for everyone. If you have the same impression of the Costa Brava as I did, I hope this has helped to change your mind. I have learned that it is important to stay open-minded and not rule out a place because of what you think it might be like. Teresa Keane packed in her job, rented out her house and backpacked around the world for a year at the age of 38. After her travels, she set up Independent Travel Help which is based on her experiences of travelling as older than average traveller. She wants to inspire and motivate women aged 35+ to travel independently by getting them to think about the travel experience they want and providing them with the information they need to follow it through. I want to visit the huge archaeological site of Greek and Roman ruins by Sant Marti d’Empuries and the walled medieval town in Tossa de Mar!